many new efforts to preserve and interpret the “whole story” of the expedition. The designation of the Lewis and Clark National Historic Trail led to many upgrades in markers and interpretive signage across the state. 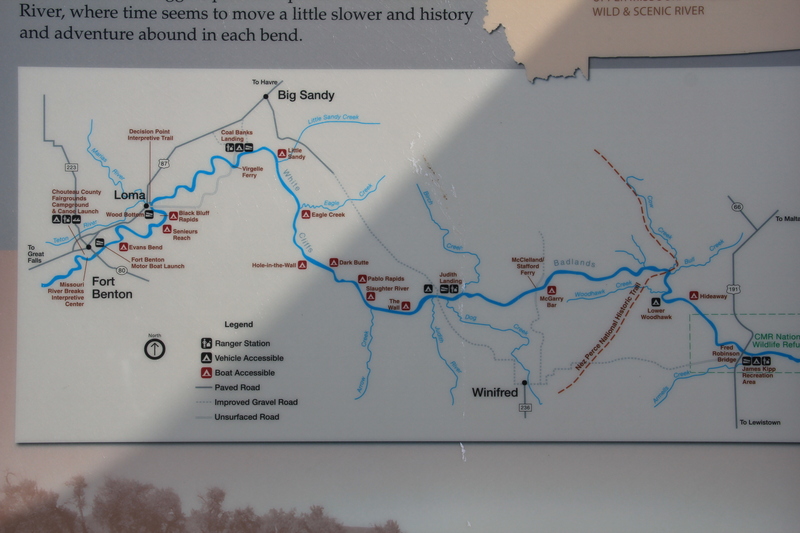 Then Great Falls became a center for trail interpretation through the opening of the Lewis and Clark Interpretive Center along the river banks not far from Giant Springs State Park. exhibits and programs have significantly broadened our historical understanding of the expedition, especially its relationship with and impact on various Native American tribes from Missouri to Washington. The contribution of the interpretive center to a greater local and in-state appreciation of the portage route cannot be underplayed. In the preservation survey of 1984, no one emphasized it nor pushed it as an important resource. 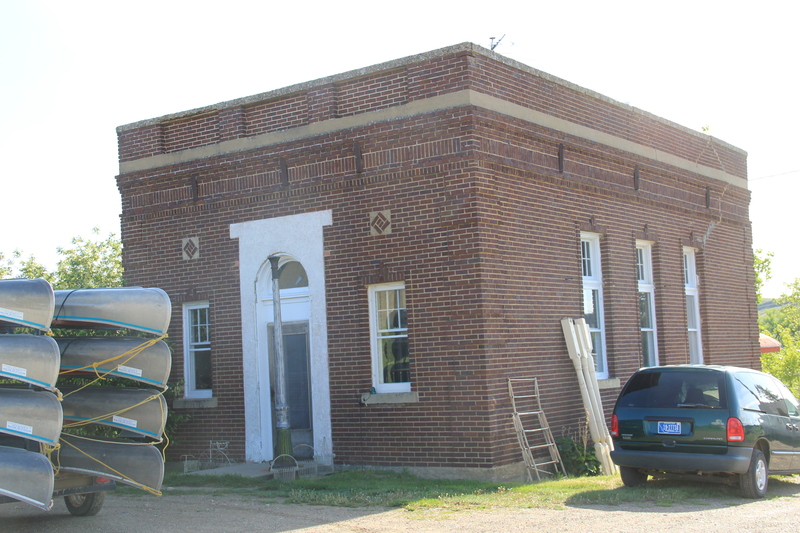 When threats of development came about in last decade, though, determined voices from preservationists and residents helped to keep the portage route, a National Historic Landmark itself, from insensitive impacts. late 1850s. Hundreds pass by the monument near the civic center in the heart of Great Falls but this story is another national one that needs more attention, and soon than later. 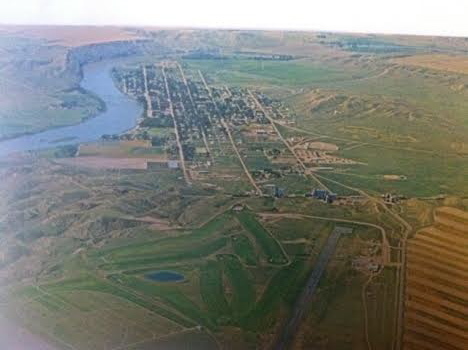 In the spring of 1984, there was no doubt that I would spend considerable time looking at the historic preservation issues at Fort Benton, a small county seat today but one of the most important places in all of the northern plains before the age of the railroad. Here at this bend in the river, shown in a postcard I bought there in 1984, was basically the last stop for Missouri River boat traffic heading west. 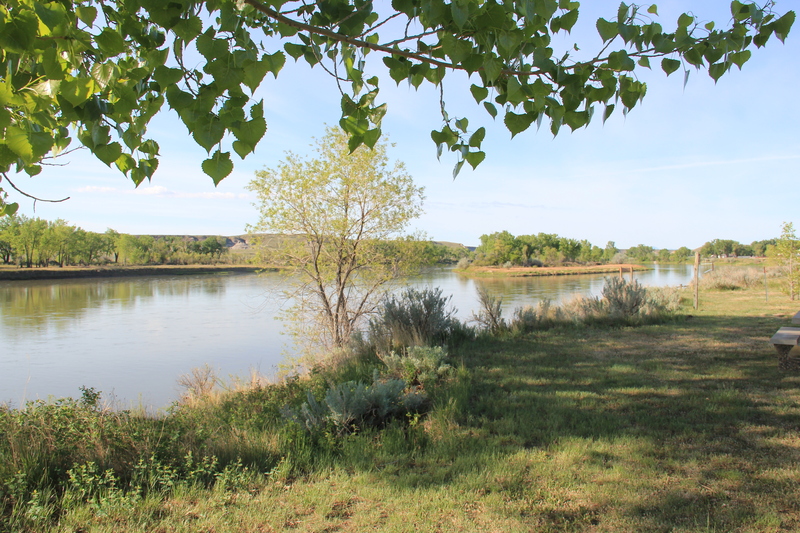 The fort dated to the late fur trade era and as the rush for precious metals overtook Montana Territory in the 1860s and 1870s here developed a major trade and outfitting post, with roads running from Fort Benton in all directions. But the place was a sleepy, almost forgotten town, as the railroads changed routes and the interstates bypassed it by miles and miles. 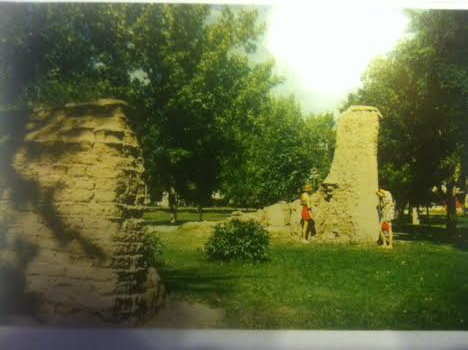 Landmarks too were there but the old fort had been slowly coming apart, only a recent determined effort by save what remained and then, ambitiously I thought 30 years ago, to rebuild the lost fort and tell fully the story of the fur trade and the significance of the Upper Missouri. My guide was John Lepley, who was spearheading the local efforts and a member of the SHPO board. Another key leader was Joel Overholser. 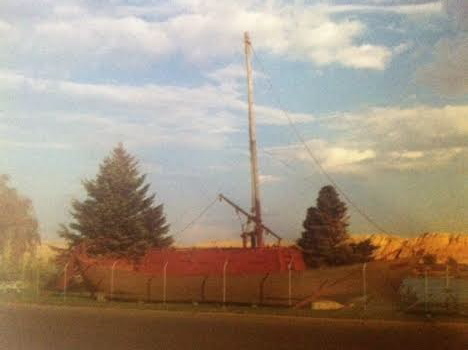 And no doubt, there was some heritage tourism and historic interpretation infrastructure in place. The Chouteau House, a classic river hotel, was still open, rough on the edges but the place where I stayed and took meals. (It was closed when I visited last in 2013). 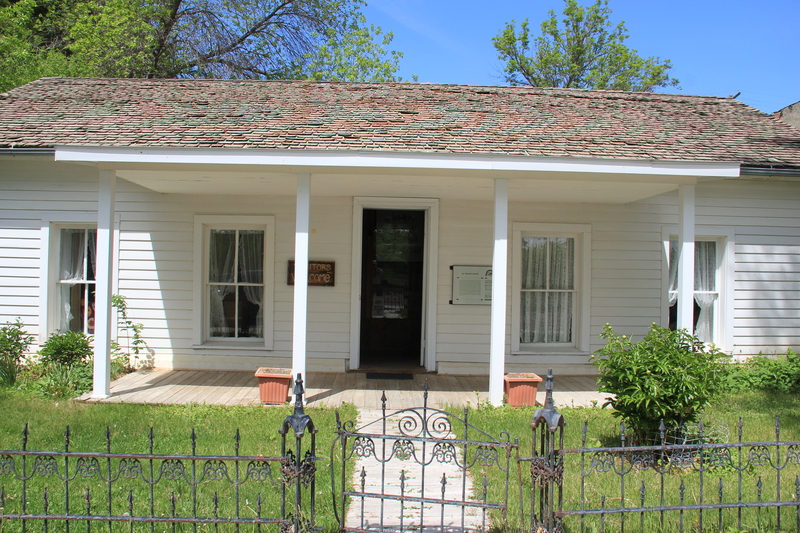 Nearby was the home of I. G. Baker, a pivotal figure in the region’s history. It was open, and paneled interpretation in place but certainly a property that could “say” more. 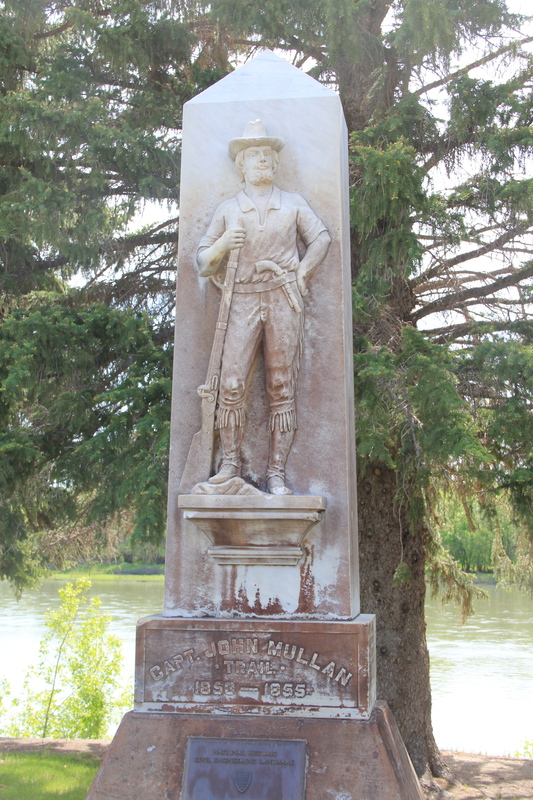 Various monuments and markers could be found throughout the riverfront: the Mullan Road, the Whoop-Up Trail, and especially the recently installed (1976) State of Montana Lewis and Clark Memorial, a monument piece of public art, sculpted by Bob Scriver with the base by Shorty Shope, another well regarded Montana artist. 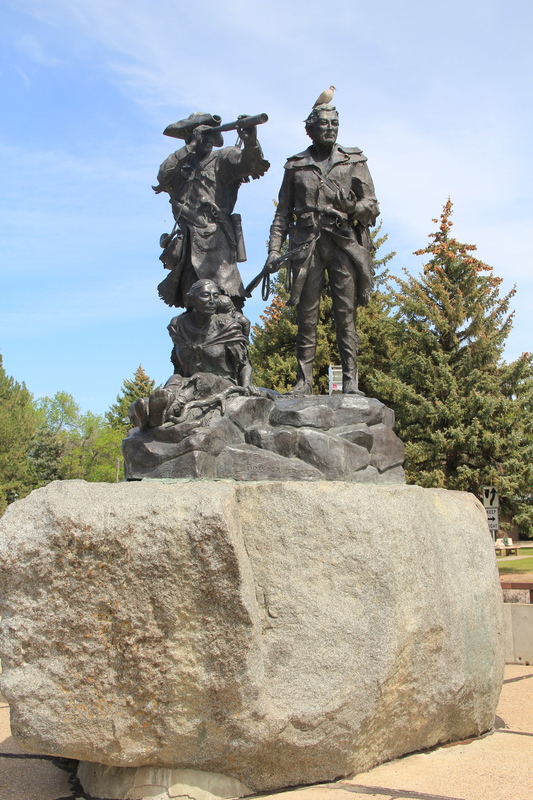 The memorial was an American bicentennial project led by the Fort Benton Improvement Association, which Lepley and Overholser served on as commissioners. Indeed, the state also had donated one of the keelboats used in the film “Far Horizons,” a Hollywood take on the Lewis and Clark expedition. The waterfront told a story, one dominated by Lewis and Clark. The amount and quality of the public art along the riverfront was impressive, but what struck me as speaking most strongly to the town’s future were two completed projects (the Museum of the Upper Missouri and the Missouri River Bridge) and the almost completed restoration of the Grand Hotel, a remarkable Victorian building that spoke to the town’s hopes in the late 19th century. 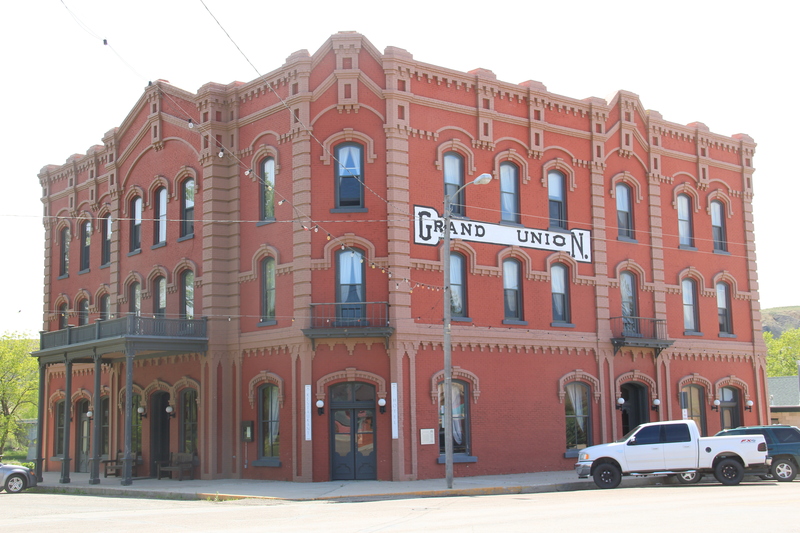 I left Fort Benton convinced of two things: the town had clear preservation needs, not just the fort site but buildings from the Victorian era were decaying too. 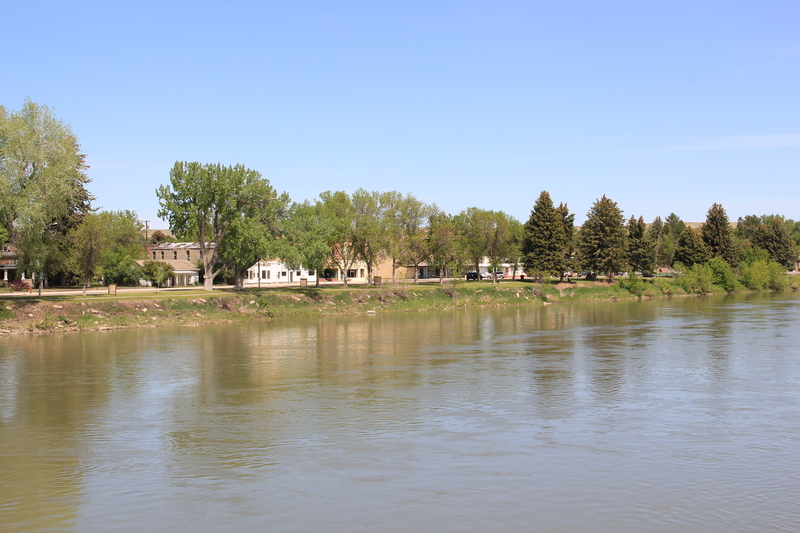 But compared to other places that I would visit in 1984, I thought Fort Benton had the one key trait for success–vision, the realization that the steps of the 1970s were just first steps, and many more needed to be taken in the years to come. 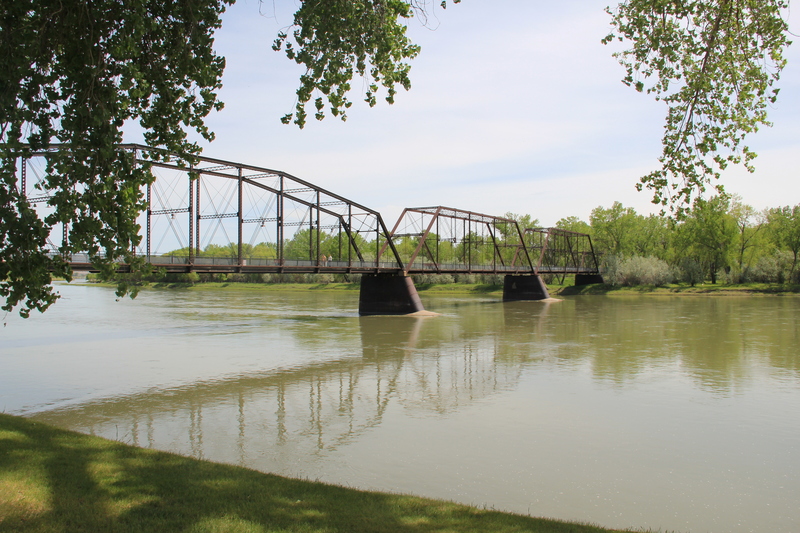 Let’s next come back to Fort Benton 30 years later and see how far that vision has reached. 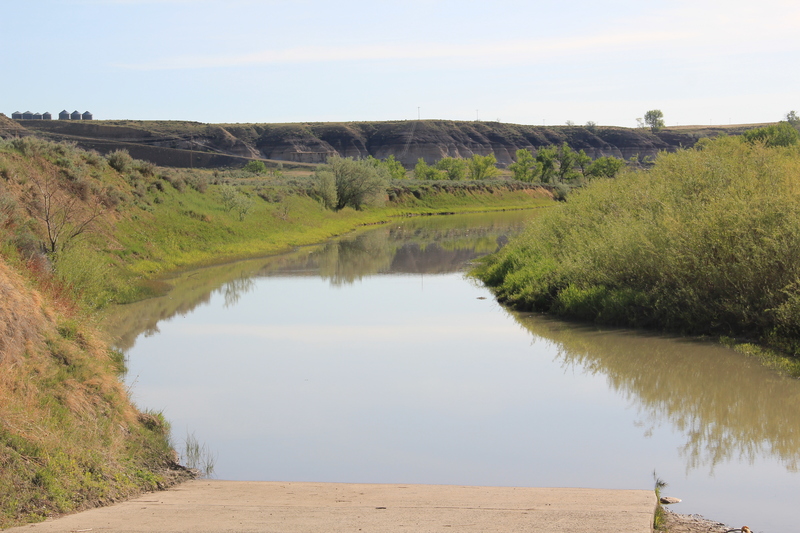 Coal Banks Landing, on the Missouri River in Chouteau County, was another site already recognized as significant when the preservation planning survey got underway in the spring of 1984. 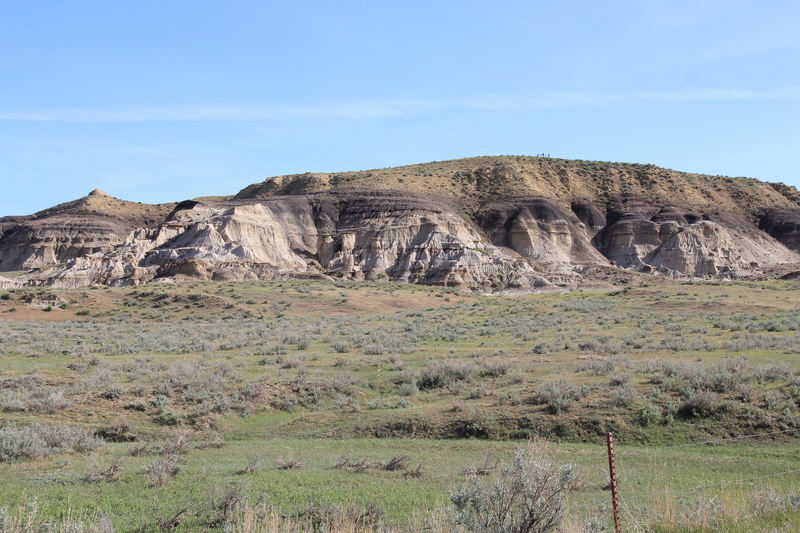 Here was yet another documented place associated with the Lewis and Clark expedition: it took its name literally from the band of lignite easily observed in the banks along the Missouri. 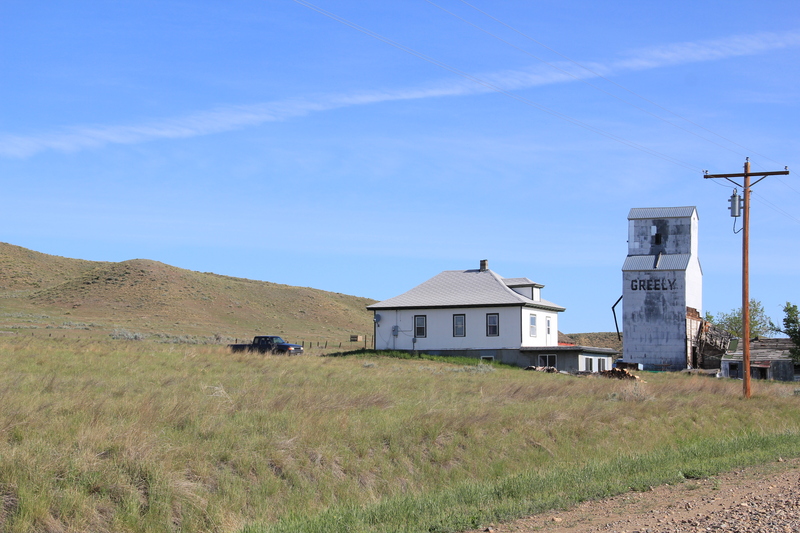 The landscape here not only speaks to the age of river transportation; to the west at Virgelle you can also find the original roadbed of James J. Hill’s Manitoba Road as it came down from Havre and connected with the Missouri River valley, its route to Great Falls. 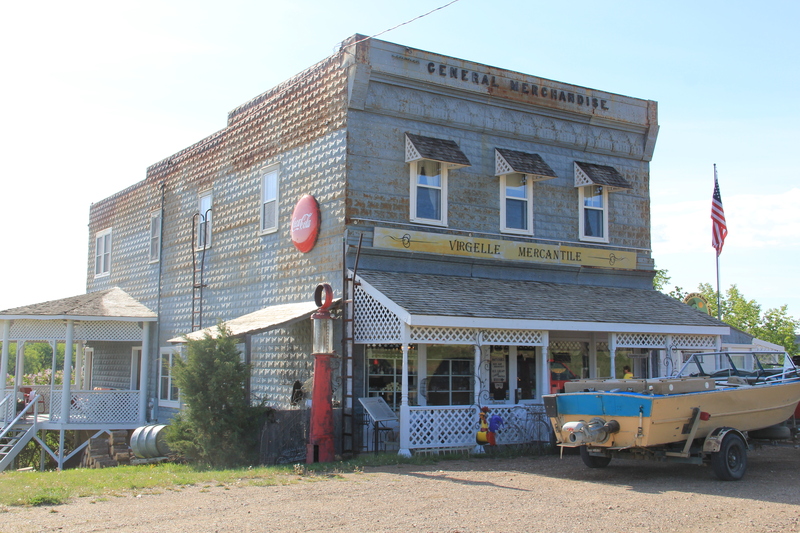 Virgelle has National Register-listed properties in its historic pressed tin-sided general store and brick bank; across the road are a school and grain elevator. 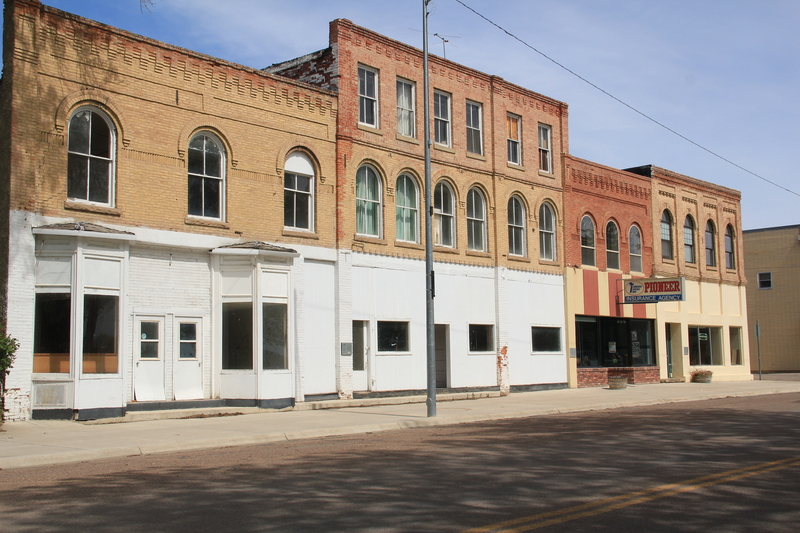 These properties marked the forgotten town as a place once prominent along the Great Northern network. Coal Banks Landing, in comparison, was a place on the river, with little to tell its story. Today, however, Coal Banks Landing is a prominent spot, with a modern boat landing, a seasonal interpretive center, and then year-round interpretive markers for its multiple layers of history. 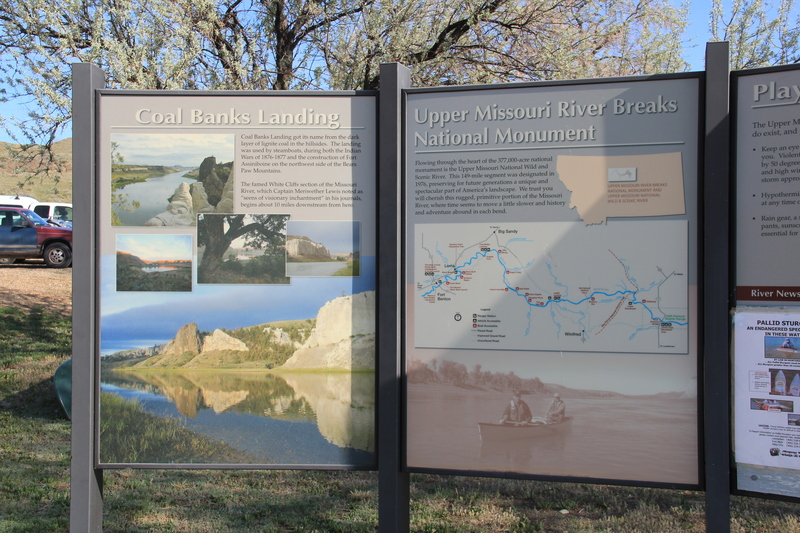 The landing and its significant Lewis and Clark story are now preserved as part of the Upper Missouri River Breaks National Monument, one of the state’s most important conservation and heritage tourism developments in the 21st century. 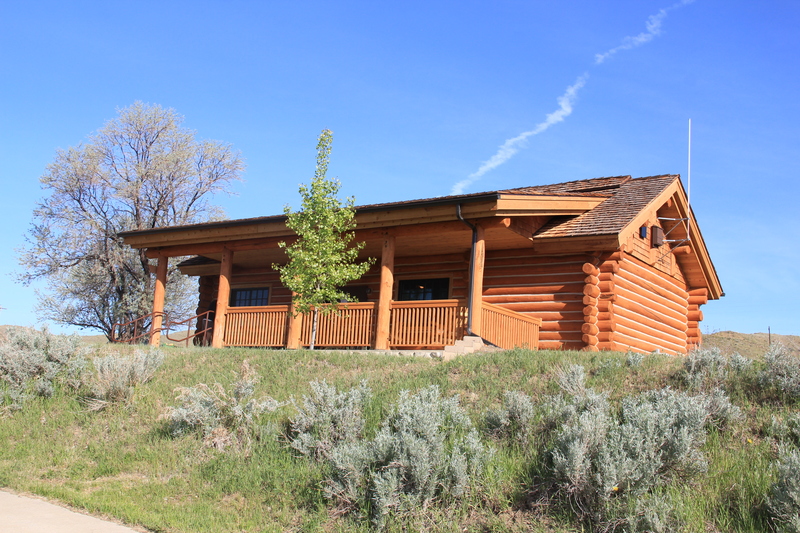 This national monument preserves not only one of the most breathtaking sections of the Lewis and Clark National Historic Trail it also preserves open land little changed from the centuries of occupation by various Native American groups and scattered often log-built homesteads of the multi-ethnic groups that flooded into northern Montana in the first two decades of the 20th century. 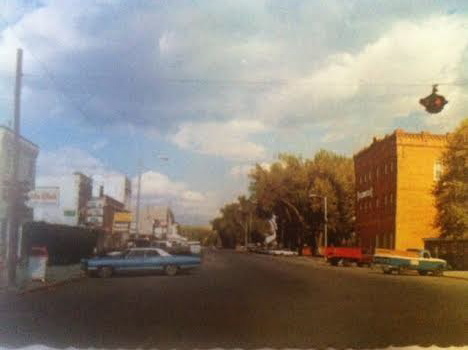 Little was here in 1984 to help residents and visitors understand the deep significance of the Missouri River. 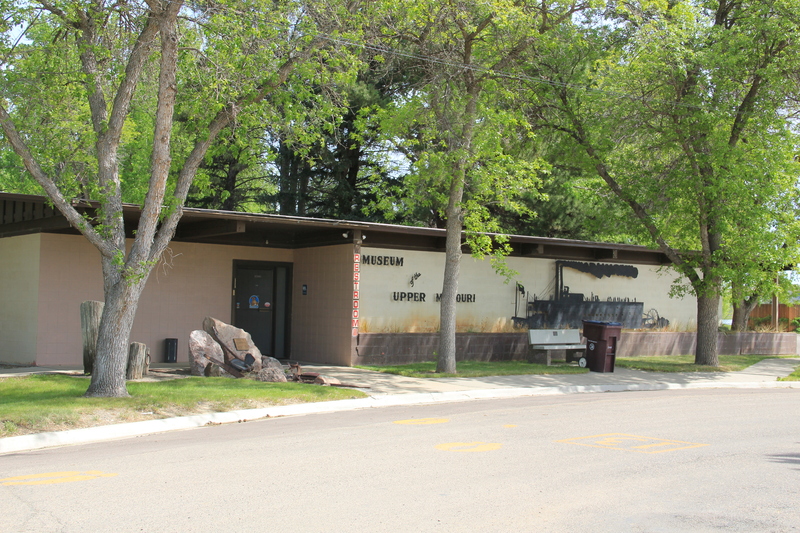 Today Coal Banks Landing is a must stop for any heritage tourist of northern Montana.